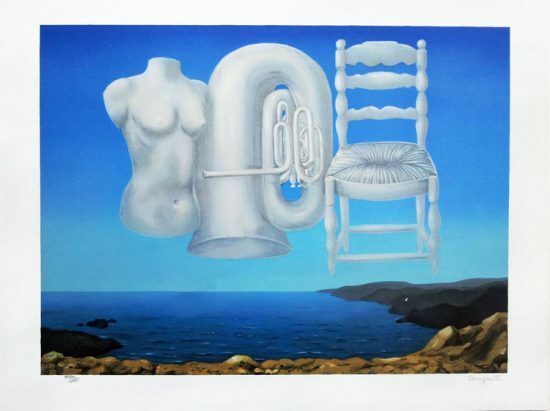 Rene Magritte A Little of the Bandit's Soul is a classic piece with elements of surrealism. Of this piece, Magritte has written A Little of the Bandit's Soul is the result of an inspiration which occured at the end of the research necessitated by the problem of the violin: as always, from the beginning of the research, the solution was contained in the first drawing (which included a 'knot'), I had to discover what it indicated: the white knot of a formal collar. 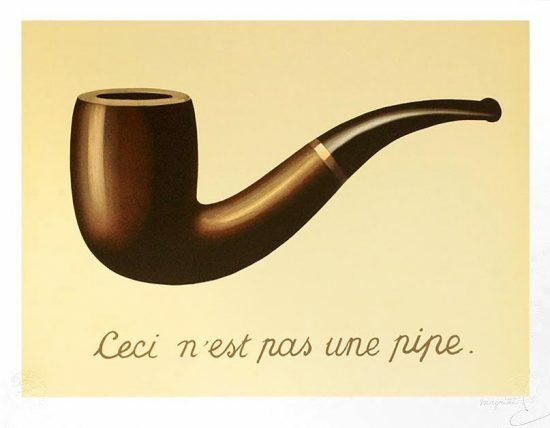 The first image is 'good' and would be worth painting, even though it is not an answer to the problem." 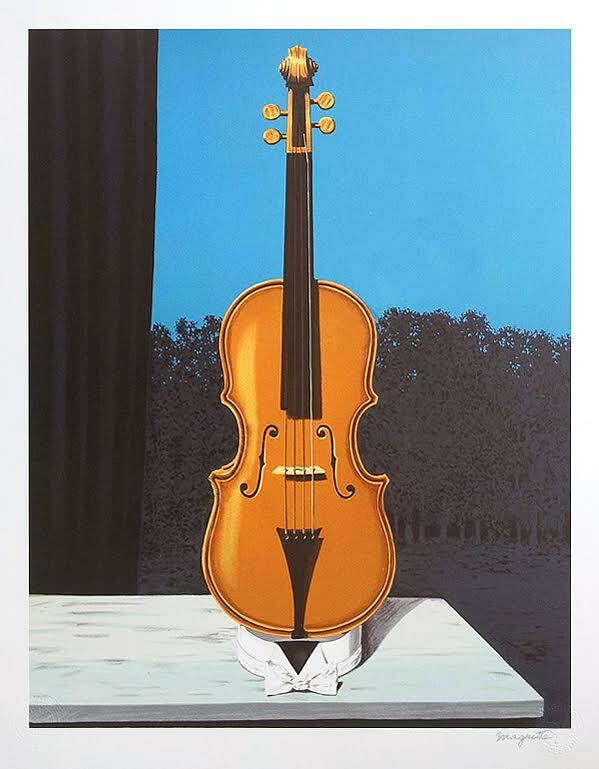 Therefore, this seemingly simplistic image of a violin represents deconstruction and rebirth. 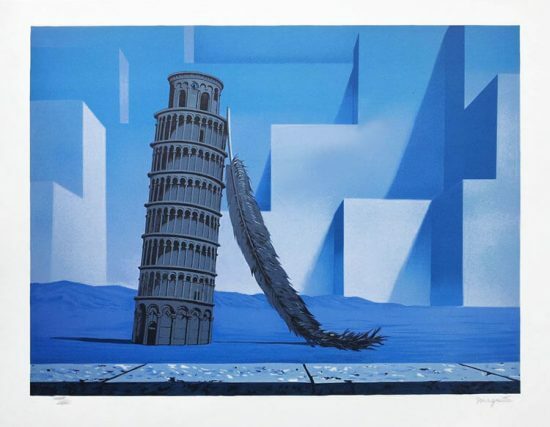 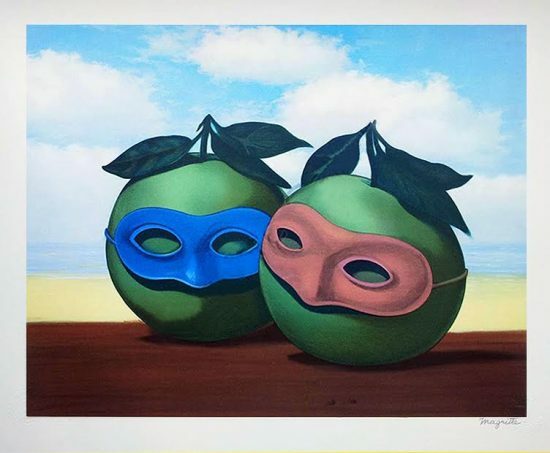 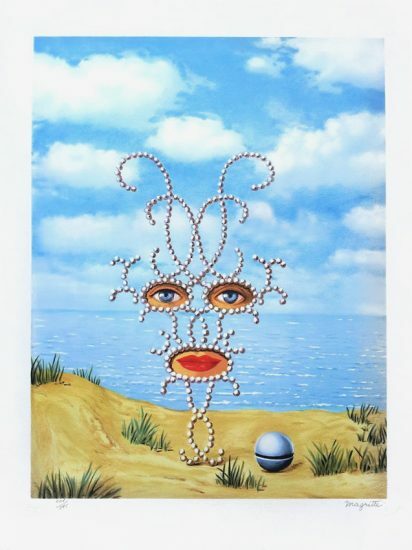 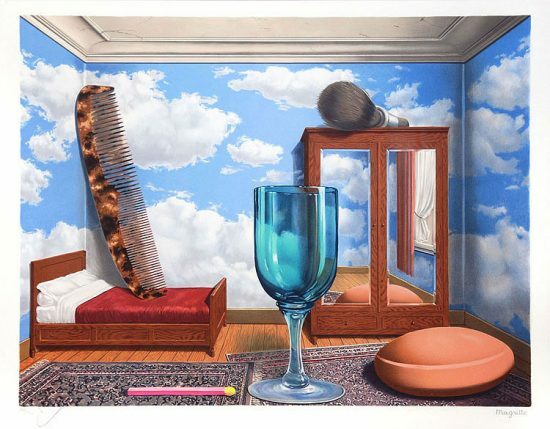 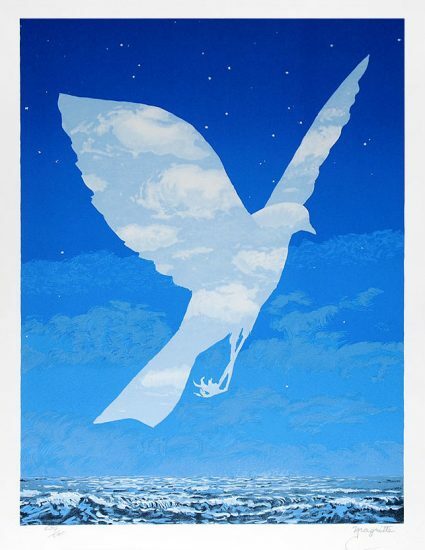 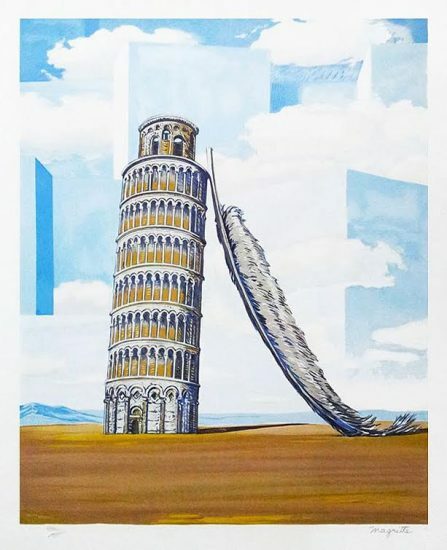 Created after an original oil on canvas by René Magritte (1898-1967), this color lithograph is was published and printed by Philippe Moreno, Paris in 2003. 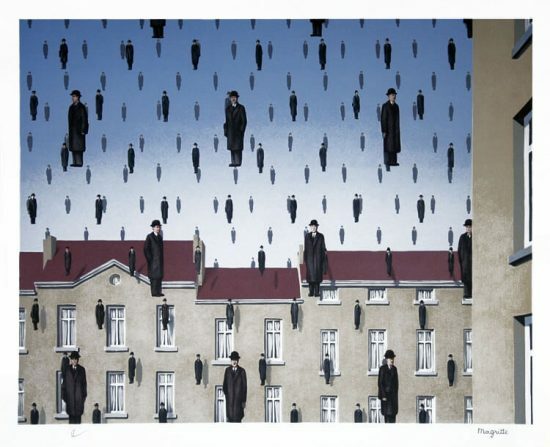 This work is signed ‘Magritte’ in fascimile in graphite color in the lower right margin and signed in pencil in the lower left margin by the representative of ADAGP representing the Magritte Succession, Mr. Charly Hersovici. 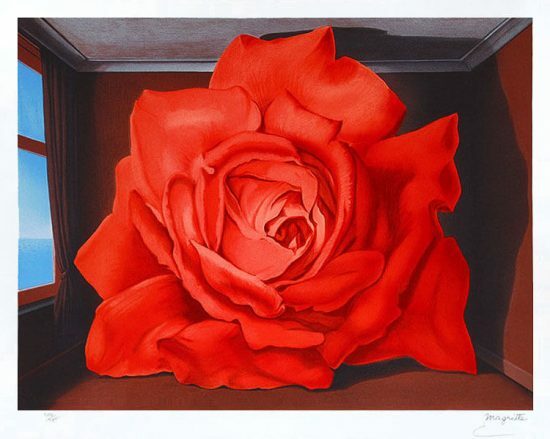 Numbered from the edition of 275 in pencil in the lower left margin.